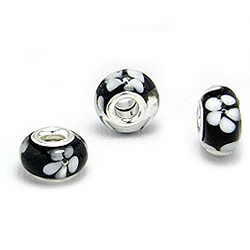 This gorgeous glass and sterling silver bead is a floral delight! 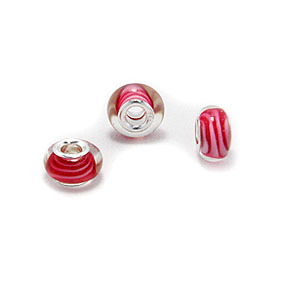 It's crafted in pink with raised, colorful swirl flower accents. 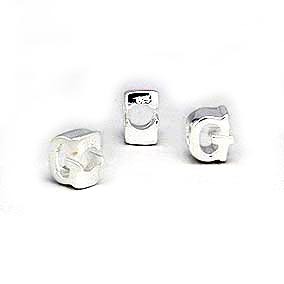 Cheneya Sterling Silver Initial Bead, "G"